This morning I woke up with a craving for banana cream pie. I have no idea why. Maybe the very ripe bananas were calling to me from across the apartment. Banana cream pie was never my favorite dessert but my Great-Grandma could whip up a fantastic one with the best homemade crust around. This dessert is actually one of my Dad’s favorites and while he preferred his Grandma’s pie to a restaurant bought, after she passed he made sure one was ordered from Baker’s Square – for every single – holiday gathering. He also likes French Silk but let us not go there yet today. I decided to let these memories inspire a very different sort of banana cream treat. 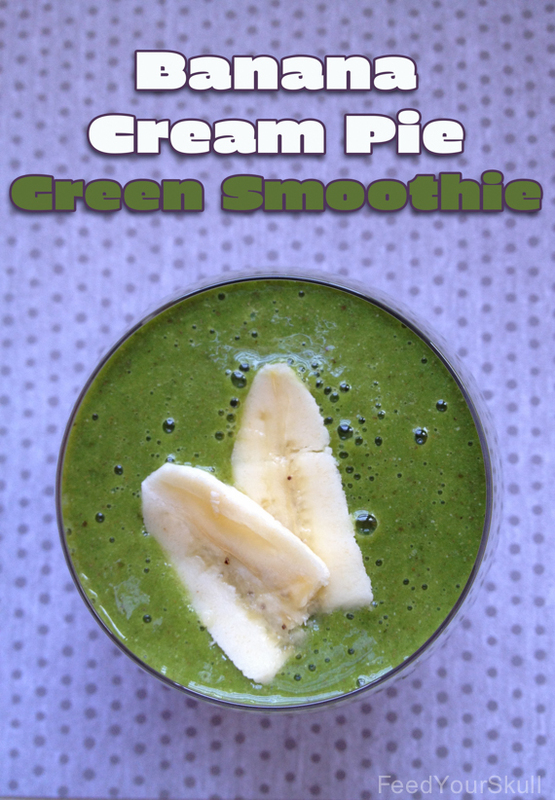 A banana cream pie green smoothie. 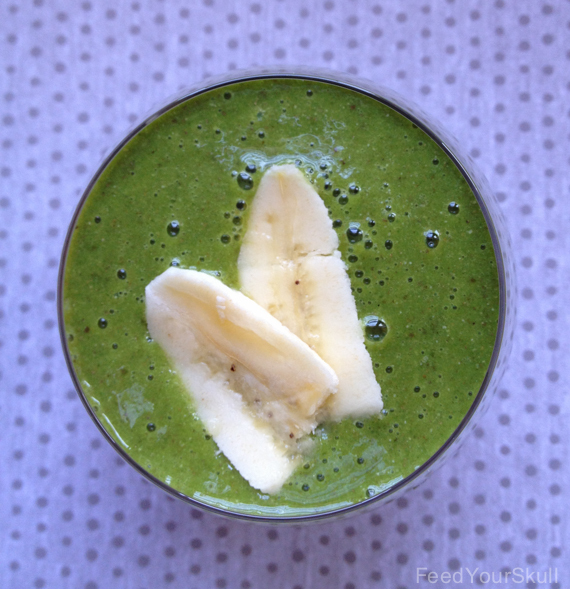 This smoothie is sweetly delicious and you might feel the teeniest pangs of guilt while enjoying it. Tasty. It’s made from good fantastic whole foods though so relish every bite, slurp, and swallow. Place ingredients in blender and blend until smooth. 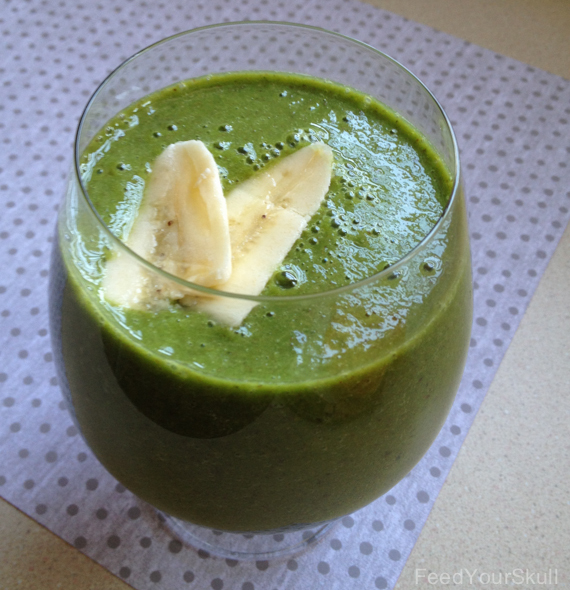 If a cold smoothie is preferred, use frozen bananas or a small amount of ice.